Samsung officially confirmed the end of the line Galaxy J and its replacement by the Galaxy family of smartphones. In a video posted by the company in Malaysia, the company claims that the new models are the evolution of the cheapest handsets that users have learned to love and to know, with a quick demonstration of some of their capabilities right after. Focused on mid-range and users who do not want to spend that much on a smartphone, the Galaxy A family brings together medium hardware with some advanced camera, screen or battery capabilities, according to the customer’s demands. Comparing the highest end models of the A series and J series, the A50 and the J8, it can be said that while both of the devices occupy the same price range, the A50 does in fact come with a more attractive feature set. Some of the features that the A50 is equipped with that the J8 lacks includes fast charging, a triple main camera setup with an ultrawide lens, and USB type-C. The Galaxy A50 is also the only Samsung smartphone besides the flagship S10 and S10+ that has an on-screen fingerprint sensor. The manufacturer, of course, will continue to support and even release updates and features for the Galaxy J line models that are in the hands of customers right now. Old units, of course, will also continue to be sold in stores as long as stocks last. 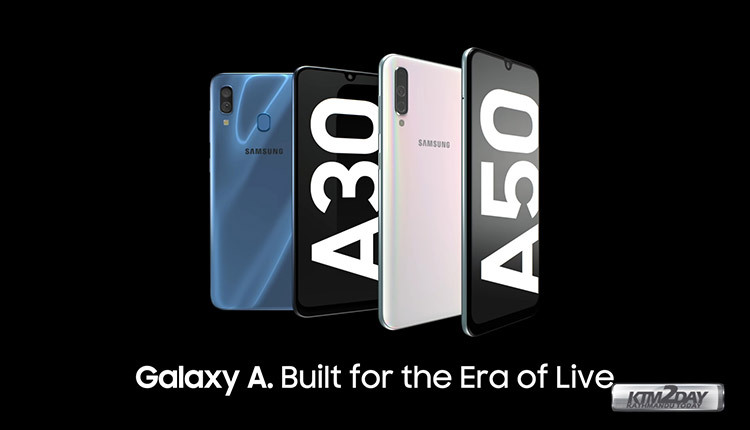 Meanwhile, the Galaxy A line has been receieving good response in the market and more recent rumors point to the launch of the Galaxy A90 , a device with a dual camera in the back that can also be rotated to the front, bringing more quality to the selfies. The model has not been officially confirmed yet and of course does not appear in the official Samsung video. Malaysia is the first country to have the transition confirmed and there is still no information on this change happening in other territories, which includes Nepal. However, there is no reason to think that it will be different in the rest of the world since, as said, Samsung has been giving indications about this change for some time.